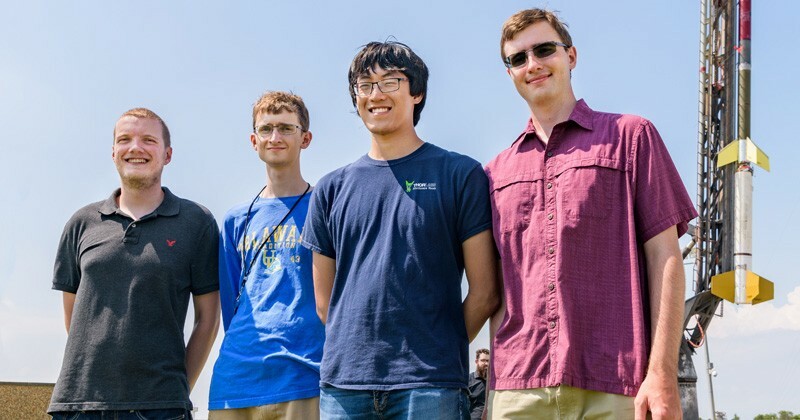 Just three weeks after earning bachelor’s degrees from the University of Delaware, four engineers experienced another milestone. 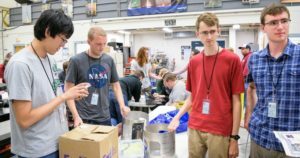 They watched in awe as a device they had worked on for nearly a year shot into space on a sounding rocket from Wallops Island, Virginia. 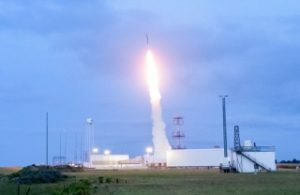 The rocket carry the UD engineering team’s project launched from NASA’s Wallops Flight Facility. 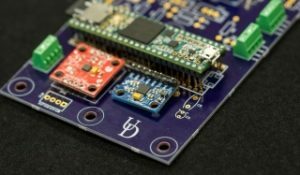 Together, the UD engineers designed hardware to house a new type of optical integrated circuit made of graphene and silicon. The team’s goal was to test foundry processed silicon photonic chiplets with tens of optoelectronic devices integrated on a 2-by-3-millimeter-square area. 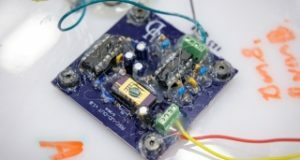 It aligns with the research efforts ofTingyi Gu, an assistant professor of electrical and computer engineering who has an Early Career Faculty Award from NASA for her research using integrated photonic devices for low power space photonic communication and sensors for space weather observations. 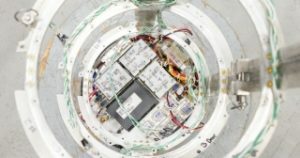 The plan is to eventually send those devices to the International Space Station, perhaps in one or two years. The device was packaged for use in a circuit at UD’sNanofabrication Facility, which has world-class capabilities in lithography, deposition, etch, thermal processing, characterization and device packaging. The device had bonding pads that measured about 50 micrometers on each side. (That’s about 0.002 inches.) It was a challenge to bond wires to these pads with the help of the staff at UD Nanofab — only one of a handful of attempts worked. The team’s goal was to test foundry processed silicon photonic chiplets with tens of optoelectronic devices integrated on a 2-by-3-millimeter-square area. The team took apart the payload after it fell back to Earth and was recovered in the ocean. The team’s portion of the payload, circuits and hardware, which they examined after the flight. 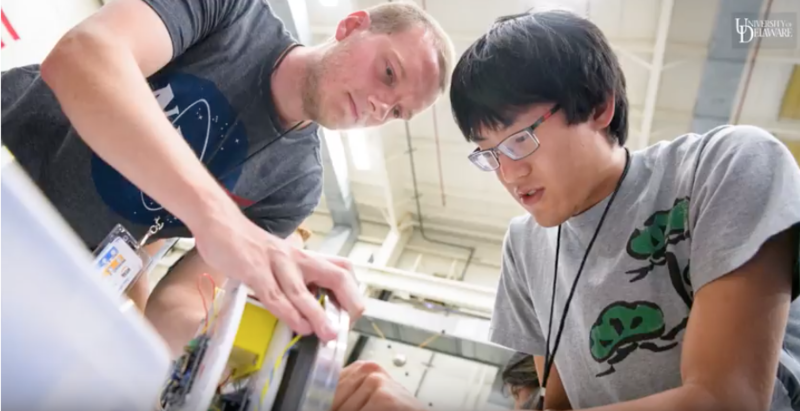 Ryan Beneck, Ben Steenkamer, Aric Lu and Anton Vasilyev engineered a device and then sent it up to space as part of a University of Delaware engineering class.